China’s second Long March 5 rocket fell short of orbit Sunday after lifting off from a spaceport in the southern Chinese province of Hainan, clouding the country’s plans to send a robotic sample return mission to the moon later this year. The Long March 5, China’s most powerful launcher, took off at 1123:23 GMT (7:23:23 a.m. EDT; 7:23:23 p.m. Beijing time) Sunday from the Wenchang space center on Hainan Island. Heading to the east just after sunset, the 187-foot-tall (57-meter) rocket climbed into a clear moonlit evening sky on 2.4 million pounds of thrust, releasing four strap-on boosters and its payload fairing on time. 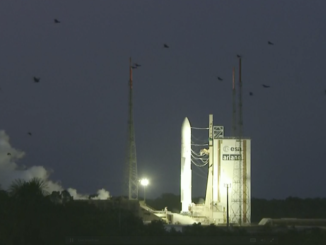 But something went wrong soon after that point, and China’s state-run media unexpectedly ended their live video coverage of the launch without explanation. An update posted on the website of the China Aerospace Science and Technology Corp., the prime contractor for most of China’s space projects, said the launch was unsuccessful and investigators were looking into the cause of the failure. The two-stage heavy-lift launcher’s next mission was slated to dispatch the Chang’e 5 mission to collect soil and rock specimens from the lunar surface in November. The probe will launch a return capsule from the moon to bring the samples back to to Earth. It was not clear Sunday how the launch failure will affect the scheduled launch of Chang’e 5, China’s most ambitious robotic deep space mission to date, and the first lunar sample return attempt since 1976. 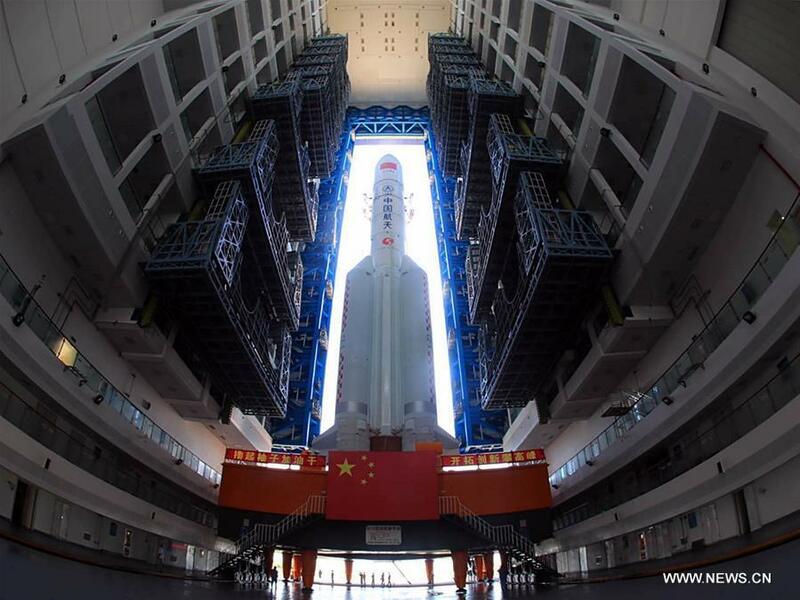 A Long March 5 rocket next year is scheduled to deliver the core module of China’s future space station to orbit. China has also assigned the Long March 5 to send at least two more station segments into space to assemble the human-tended research complex in orbit, and a Long March 5 will launch China’s first Mars rover in mid-2020. 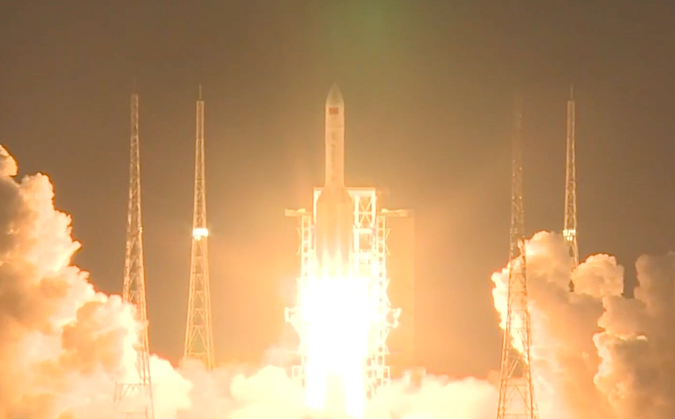 Sunday’s doomed flight was the second time China has launched a Long March 5 rocket. The heavy-lifter’s maiden mission in November 2016 was successful. The Long March 5 can lift twice the payload into space as any of China’s other rockets, and its performance is comparable to United Launch Alliance’s Delta 4-Heavy rocket, making the new Chinese booster one of the most powerful launchers in the world. But a graph displayed inside the launch control center seemed to suggest the Long March 5 deviated from its planned altitude by the 10-minute point in the mission, and live views from the rocket ended as it soared over the Philippine Sea. The YF-75D engines were programmed to fire two times on Sunday’s launch, first to send the rocket and its payload — an experimental communications satellite — into a low-altitude parking orbit. A second burn was scheduled to conclude around 25 minutes after launch, followed by deployment of the Shijian 18 satellite in an elliptical, oblong orbit stretching more than 20,000 miles above Earth a half-hour into the flight. The Long March 5’s core stage, which consumes the same cryogenic hydrogen and oxygen propellants, is fitted with two YF-77 booster engines, the largest such fully cryogenic rocket powerplant ever made in China. The YF-77 engines, developed especially for the Long March 5, are connected together with a structural thrust frame, each producing about 115,000 pounds of thrust at ground level, and up to 157,000 pounds of thrust in vacuum. The restartable expander cycle YF-75D is the latest upgrade to China’s long line of cryogenic hydrogen-fueled upper stage engines, which first flew on a space mission in 1984. The rocket’s four liquid-fueled boosters, each propelled by two engines fed by kerosene and liquid oxygen, apparently performed well Sunday. 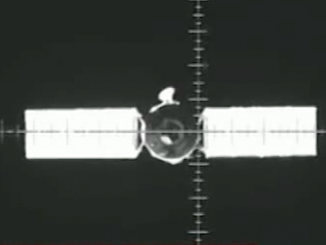 Live video of the launch streamed online from Wenchang showed the boosters falling away from the rocket as scheduled. The YF-100 engine flown on the Long March 5’s strap-on boosters is a more powerful model of Russia’s RD-120 rocket engine. The YF-100 engine can produce up to 270,000 pounds of thrust at sea level, operating with oxygen-rich staged combustion, a closed propulsion cycle that minimizes propellant waste, resulting in a more efficient, but more complex, propulsion system. The Long March 5 is the largest member of a new family of Chinese rockets to replace the country’s Long March 2, 3 and 4-series launchers, which fly with engines and other technologies rooted in the 1970s and 1980s. The lightweight Long March 6 is tailored to loft small satellites into low-altitude orbits, and the medium-class Long March 7 will launch supply ships, and eventually crews, to China’s space station. The Shijian 18 satellite lost on Sunday’s failed launch was the first in a new generation of high-power satellites that are bigger and more capable than members of China’s current space fleet. Based on a new satellite designed called the DFH-5, Shijian 18 was manufactured by the China Academy of Space Technology. Shijian 18 had a launch mass of around 7 metric tons — more than 15,000 pounds — making it one of the heaviest known satellites ever built for geostationary orbit, a perch more than 22,000 miles (nearly 36,000 kilometers) over the equator. At that altitude, satellites orbit Earth in lock-step with the planet’s rotation, an optimum location for communications relay craft. The satellite was supposed to test new data relay and broadcast technologies capable of routing bandwidth faster than earlier Chinese communications craft. Shijian 18 also hosted a laser communications package for data transfers faster than those possible with conventional radio links, and the spacecraft carried electric thrusters to help it maneuver in orbit. The Long March 5’s unsuccessful launch Sunday was China’s second rocket failure in two weeks. A Long March 3B rocket’s upper stage placed the Chinasat 9A communications satellite in a lower-than-planned orbit June 18. Owned and operated by China Satcom, Chinasat 9A is the country’s first satellite built for direct-to-home television broadcasting. The satellite will need to burn more of its own fuel than expected to reach its final operating post in geostationary orbit, likely reducing its useful lifetime.